The Chattanooga Gutter Company offers seamless, leak-proof solutions specifically designed to protect your home. 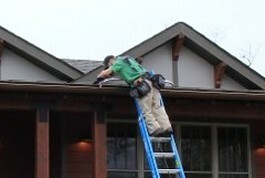 We fabricate our seamless gutters and gutter guards ourselves to ensure maximum quality. Ensure your property is protected with custom rain gutters and roof accents from the Chattanooga Gutter Company of Tennessee. Our experienced crew offers quality solutions designed to last. We care about your property and build working relationships with you to ensure your complete satisfaction. Our mission is to bring a level of professionalism to this industry, as well as have a high level of customer service while installing a high-quality product. We make sure our product goes the distance. 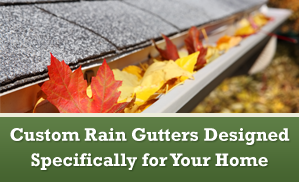 Contact us at (423) 300-6461 for exceptional gutters and gutter guards.